New Zealand’s abundantly lush natural surroundings make it a rich source not only of spellbinding landscapes and thrilling adventures but also a delicious supply of some of the world’s freshest food and finest wines. Whether you’re a foodie or a gourmand, go on a food trip and satisfy your craving for an adventure on the road. Do up your own itinerary, hire a car and follow your nose. Savor every delicious moment as you sample the flavors and textures of New Zealand from north to south. Here are some not to be missed highlights of New Zealand’s North Island Gourmet Trail. Looking for more than just delicious food – then check out this 1 week New Zealand North Island itinerary. 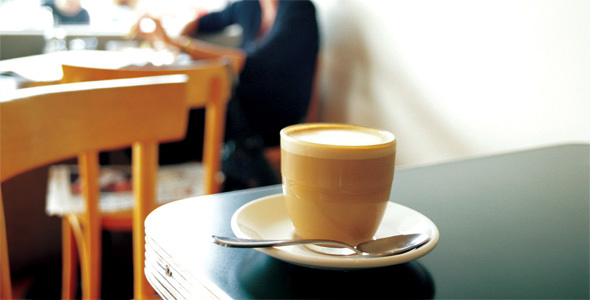 Viaduct Basin, Chancery and the inner city suburbs of Ponsonby and Parnell are rich sources of restaurants. Take cooking lessons at the Auckland fish market. Shop for delicious souvenirs at BeesOnline in Kumeu (there’s also a café that demonstrates the culinary uses for honey). 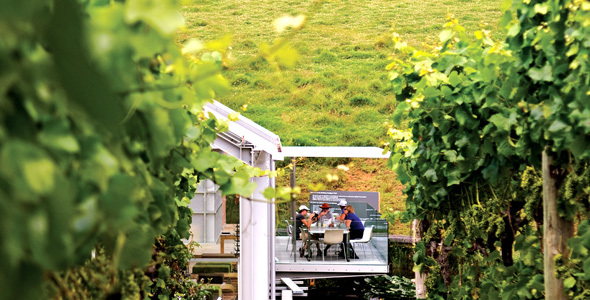 For a divine wine time, Waiheke Island, Matakana and Kumeu are within easy distance. Auckland’s wine growing areas produce rich, ripe Merlot, Cabernet Sauvignon and Syrah, as well as smooth, fruity Chardonnay and Pinot Gris. Bring home delicious memories dripping in chocolate, nuts, oysters, cheeses and olive oil. Don’t miss the famous fish ‘n chips in Mangonui where you can select the fish you want. 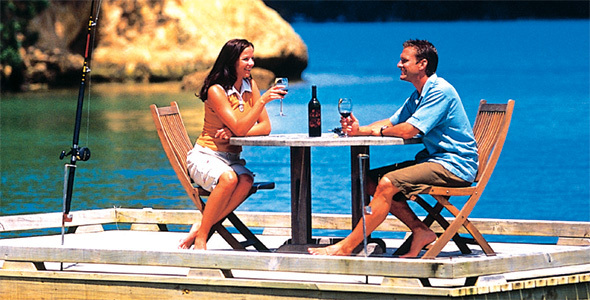 Sample a 7-course menu on the Russell waterfront in the Bay of Islands. Try a do-it-yourself Paihia at cooking schools within various luxury resorts. 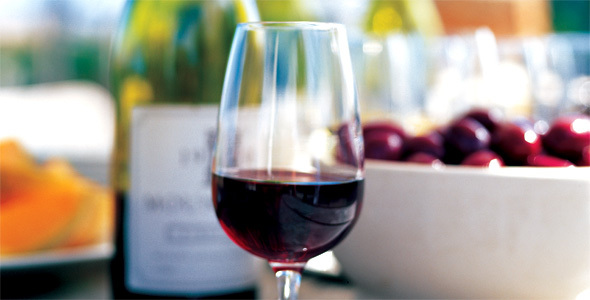 Sample well-rounded whites, sensational Syrah and savoury Cabernet/Merlot blends. New Zealand’s second-largest wine region produces sophisticated reds and finely structured Chardonnays. Hire a mountain bike to tour the vineyards, or organize a driver to whisk you from one cellar door to the next. Around lunchtime, stop by a vineyard restaurant for exceptional provincial cuisine perfectly matched with homegrown wine. Arrange an indigenous Maori food tour with Charles Royal, an innovative Maori chef who uses his knowledge of traditional cooking methods and native herbs to keep you entertained and well fed. For an authentic historic experience, book a tour at the Tamaki Maori Village. A hangi feast, cooked in an earth oven, is part of the entertainment. Buzzing with cafés, delicatessens and restaurants. There are walking gourmet tours of the inner city culminating in a 3-course tasting lunch matched with New Zealand wines. Special food experiences include a chocolate café, a restaurant that puts a new spin on traditional Maori food and a seafood restaurant that’s housed in a restored historic woolshed. You may also make an advance booking with Wild About Wellington or Zest Food Tours and they’ll organize everything for you. Visit an organic winery on the shores of Lake Horowhenua. Enjoy country cooking at a pioneer museum. Taste New Zealand-made schnapps, liqueurs, oils and vinaigrettes. Drop in at Lindale Farm for some delightful local cheese and ice cream. Don’t miss the Ruth Pretty Cooking School, which runs most weekends from March to December. When wine has a colorful history, the bouquet seems richer. 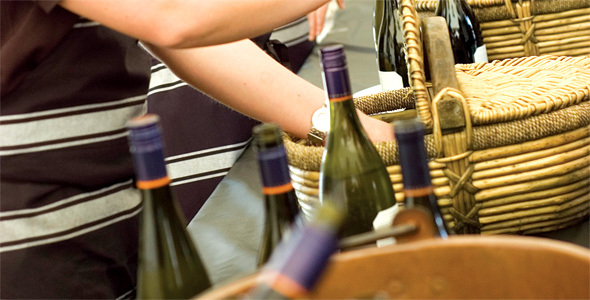 Fabulous wine culture, with Pinot Noir taking centre stage, and a veritable Garden of Eden of ingredients to choose from. Take a leisurely stroll or bike around amazing vineyards and olive groves. Some of the vineyards have a restaurant/café to keep your energy levels suitably topped up. 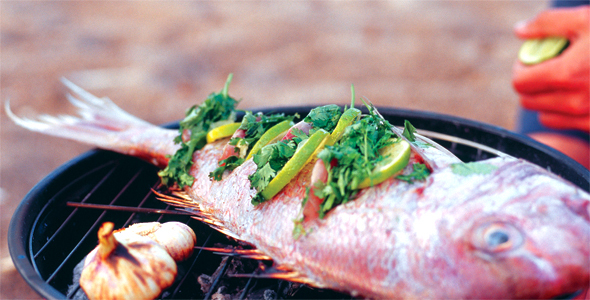 Stay in a country homestead or farm stay, where outdoor pursuits will whet the appetite for great home cooking. Koriniti Marae provides a homestay with traditional Maori hangi food. Feilding town hosts an excellent artisan food market on Fridays—fruits, vegetables, pate, specialty bread, wine, pesto and more. Drop by the herb farm in Ashurst, where a café makes good use of the fresh herbs grown on the farm. Beer, cheese and seafood are three very good reasons to visit. Tour the three boutique breweries to discover Taranaki’s greatest beers and a fruit winery specializing in luscious raspberry and boysenberry wine. Nibble to your heart’s content at the Cheese Bar in Bridge Street, and add Eltham to your cheese-y itinerary. Relish Taranaki’s legendary seafood, including the paua (New Zealand black abalone).